1 When Would You Need To Replace A Pressure Water Pump? 2 What Are The Types? Pressure water pumps are the most important part of a pressure washer. They power through to deliver water at high speeds. Over time these parts wear down, so maintenance is needed. When they completely break down, you’ll have no choice but to replace it. Getting a new pressure water pump is still a cheaper option than buying an entirely new pressure washer. With minimal experience, you’ll have no problem dealing with any pressure water pump. When Would You Need To Replace A Pressure Water Pump? Pressure water pumps may need replacing when they cycle rapidly, won’t run or stop running completely. Before thinking the worst, consumers should always consult their manuals for troubleshooting tips. Small things like low pressure can be resolved by checking for blockages, seeing in the belt needs tightening or finding valve problems. It can be daunting when you go through all of the things that can go wrong with a pressure water pump. The list is a mile long, but rest assured, there is usually a fix for the problem that doesn’t involve a replacement. Pressure water pumps are not invulnerable, yet they are less likely to fail when proper care instructions are followed. Sometimes replacing a pump is necessary when your usage is excessive, a practice that is more likely to wear out the parts on a daily basis. Usage that goes beyond what the pump max specifications are will wear it out quickly, causing many of the problems associated with pressure water pump repair. The best way to keep this from happening is to understand the equipment that you’re dealing with. Knowing what the parts are capable of will help you with choosing the correct pressure washer based on its internal components. Wobble, axial cam and triplex plunger are the three pump types you’ll be dealing with. The main difference between the three is what drives them, or gives them power. Axial cam and wobble depend on the drive shaft and pistons to give them power. Triplex plunger is simpler, relying on a camshaft or crank driven mechanics to power it. Most consumers will end up with either axial or triplex plunger pumps when they buy pressure washers. Wobble is not considered outdated, so it isn’t uncommon to see it in mainstream pressure washers. There are pros and cons for each type that make them preferable over one another. You will notice that there is an overabundance of specific types within the market, but don’t get swayed by the numbers. The things you’re looking for with pressure water pumps are a lot more identifiable than their mechanical design. Consumers will only have to stick to a specific type when replacing their current pressure washer parts. Prices will make a difference in how you approach some types, or at the very least become a brand specific priority. The next section will cover the pros and cons of each type, painting a full picture that is a valuable resource for all users. All pressure water pumps fall into the reciprocating group. That means they use either pistons or plungers for full operation. There are a lot of benefits to go over with each type that make pumps useful for small and large jobs. Users have found that specific builds are more useful to their daily needs, so a pros and cons list is a quick way to skim over the basics. Pay attention to the drawbacks of each and whether it will affect your daily usage of the pressure washer. Pressure washers that use wobble pumps have a good life span, up to 400 hours. This is due to wobble pumps being used in low power setups with flow rates less than 2 GPM. Finding one in a model that is in excess of 2500 PSI is rare, so without a doubt wobble pumps are meant for consumers that aren’t looking to handle big projects. But it gets deeper than that, as wobble pumps are self-priming and can run dry. User error is hardly one of the reasons they fail, and often users will have their pressure washers for years without running into any major issues. That is the best thing about a wobble pump; when it is working, few are better. When it is having problems, it’s a major headache. 70% efficiency compared to the other pumps. This has to do with the wobble plate design that’s connected to the drive shaft. The pistons have springs that push them against the wobble plate, usually large springs. Because of the design, double work has to be done since it is pushing against both the springs and the water. The entire process is quite ingenius, yet all of the small parts makes wobble pumps harder to repair. When things go wrong with the pump, replacing it is the best solution unless you’re an expert. Even if you have experience repairing a wobble pump, the time it takes to get to the parts you need is better spent on other projects. Newer models go so far as to seal shut important places where malfunctions take place. You can find wobble pumps being used in pressure washers below 2500 PSI. An axial cam pump improves on a lot of the deficiencies of the wobble while also being a great intermediate option. With the ability to output at a higher power, you can find an axial cam pump in pressure washers that output up to 3500 PSI. Bigger jobs can be handled by pressure washers pumps of this kind installed. The higher workload doesn’t bother the life expectancy of the pump, as they are known to last almost three times as long with moderate use. The design differences of the Axial is similar to wobble, with the main difference being less pressure being put on the plate. Instead of direct contact, the pistons rotate around the plate for a much more effective usage over the life of the pump. The entire operation is smoother than wobble, and is lighter in weight and more powerful. As the ‘intermediate’ choice between the available pumps, you’ll end up paying a little more for a pressure washer that has it installed. Prices of pressure washers’ pumps may vary, so one brand may be low in cost while another is high- for the same type of pump. Consumers will have to be smart about price hunting when looking at axial cam pumps as a replacement, or when they’re included in a pressure washer. When an axial pump is installed in a pressure washer with bad mechanics, the wear is much greater during medium to heavy usage. You can destroy an axial cam pump in the same amount of time as a wobble pump, it just depends on the pressure washer. 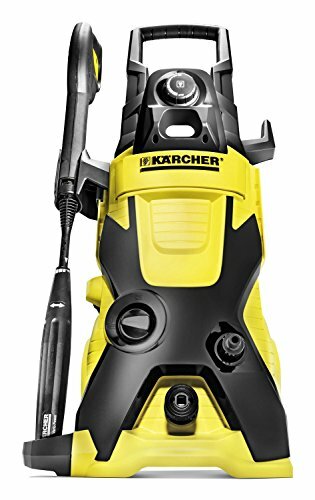 A more appropriate way of looking at it is by finding a pressure washer that can both protect and manage the high speed of an axial cam pump. Bad protection will waste money and time when the part wears out. Anyone that buys pressure washers with triplex plunger pumps is most likely a professional. The only reason for a regular consumer to use such a powerful pump is for hobby purposes or large projects. And even if it is the latter, a triplex plunger pump would be considered overkill. They run thousands of hours without any manual maintenance needed, making them the most durable of the pumps listed. 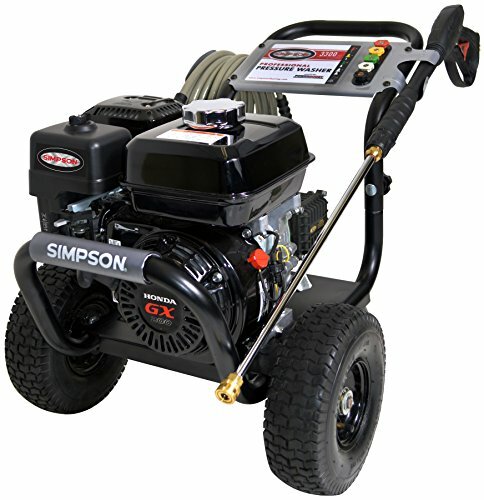 The three piston design is in a league of its own, borrowing heavily from car engine design and reinforcing the pros in modern patio pressure washers. Amazingly this design is the most open to regular maintenance or part replacements. If anything goes wrong, a skilled worker can have it up and running in no time. All of the extra power comes at a cost, which is why you can only find triplex plunger pumps in pressure washers above 3000 PSI. It is not a consumer friendly pump to deal with since it is meant for professional use. But even for some professionals, getting a quality device with a triplex plunger pump is not an easy acquisition (based on price). You’re paying for a pump that has no equal in its current group, leaving the only other options at the consumer level. If you’re limited by brand, then the options become harder. The cost of a pressure washer with this pump may be high, yet getting replacement triplex plunger pumps is a little more forgiving. Unfortunately, a well-kept triplex plunger pump will last you for years without needing to be replaced. Understanding the types of pressure washer pumps isn’t hard once you get the three types memorized. The market is constantly changing in other areas with pressure washers, with the pumps being a huge part of that. Even if you exclude the wobble pump from the consumer and professional base, you’re left with two very high performance choices that’ll get the job done. For general informative reviews about other brand tools you may look into our website wherein you are able to check out the garage door openers guide and reviews as well.